The CNA Salary in MD (Maryland) can vary depending on your experience working on the job and other factors including the city and type of facility you’re employed at. Due to rising needs from an aging population the healthcare field in Maryland has a guarantee to maintain a continued growth in the upcoming years for certified nursing assistants. These health professional work under the supervision of registered nurses or LPNs as they provides basic care to clients which include monitoring vital signs, feeding, bathing, grooming, and assisting with ROM exercises. With the anticipation of about twenty-one percent growth for CNA job opportunities from 2012 to 2022, in accordance to the Bureau of Labor Statistics, more individuals are interested in pursing CNA career. The salary offered to certified nursing assistants in Maryland has been proven rewarding especially when you possess the right qualifications as well as expertise. The annual salary wage that CNAs earn for each year is approximately $22,000 to $31,000. For hourly basis, it is ranges from $11.80 to $19.59. Entry-level certified nursing assistants earn lesser pay rate compared to experienced CNAs. Majority of the employers are more attracted to employees who already have experience in the field. CNAs who are starters can apply to employers who offer on the job training because this will aid them in gaining work experience since they will be required by the employers to work for them due to the training provided. When CNAs are able to work longer with the employer, they salary wages can increase over time. – Experience – CNAs with work experience get the attraction of employers more compared to the entry-level CNAs. In Maryland, there are a lot of on the job training offered by several employers. It as an advantage for CNA beginners to avail of the training in order for them to gain work experience. 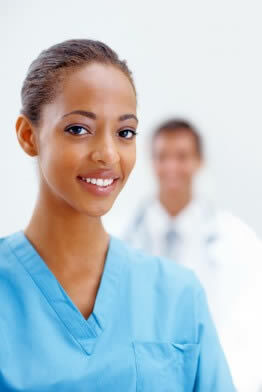 In exchange of the training offered, CNAs are required to work for the employers for a specified time period. Experienced CNAs can have the privilege to choose what area they prefer to work. The biggest advantage that CNAs get compared to entry-level CNAs is that they are being offered with higher salary wages and better benefits. – Location – the cost of living of a particular area is the basis for the salary. Urban areas or the cities offer CNAs with higher salary than the rural areas. Those who desire to become certified to be eligible for employment will need to attend CNA classes in MD. School training takes around 3 to 8 weeks and will provide you with real life skills practice in a clinical setting and classroom instruction to prepare for the exams.